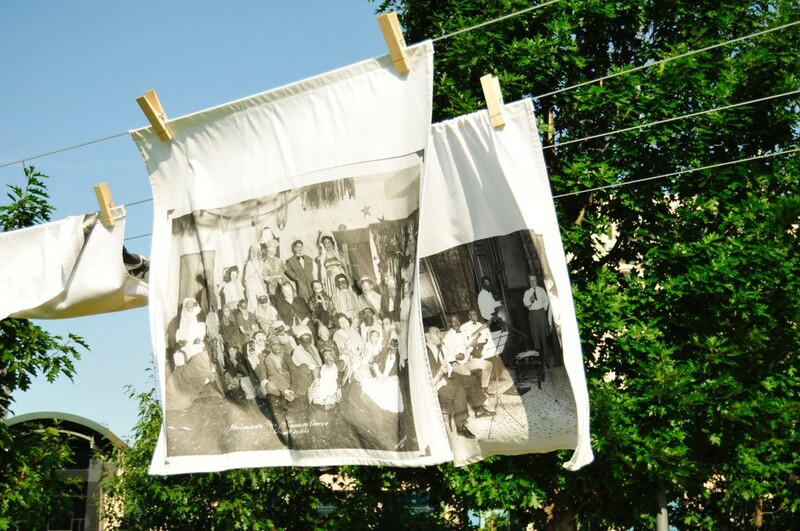 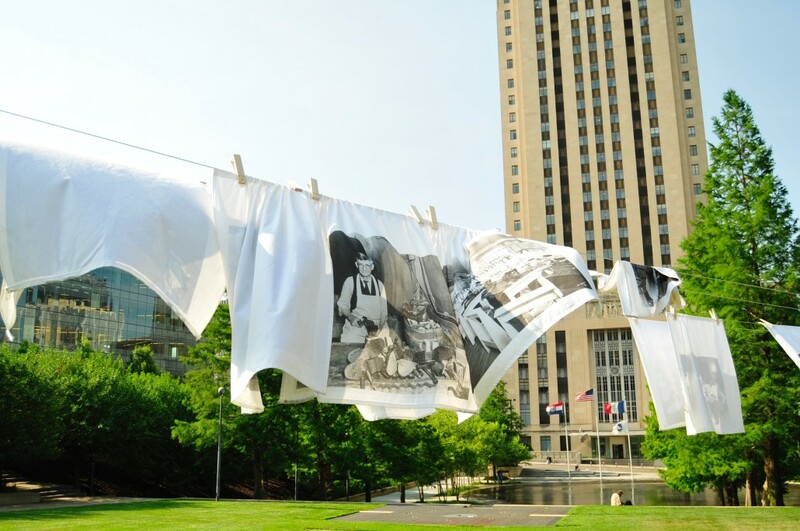 Laundry Day is an oversized iconic clothesline displaying large historic photographs of Kansas City’s colorful past. 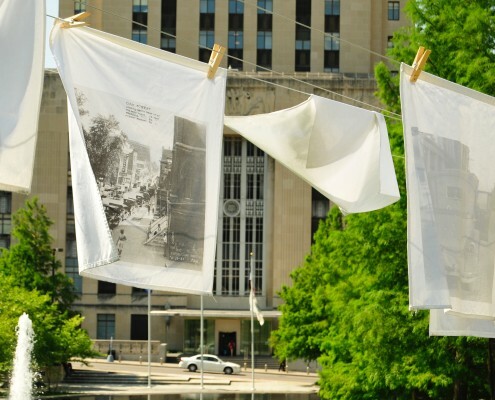 The history of Kansas City shapes and influences all that we experience today, yet much of that history, outside of the built environment, is tucked away in libraries and universities. 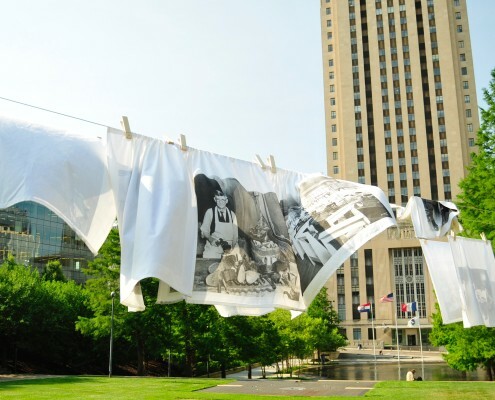 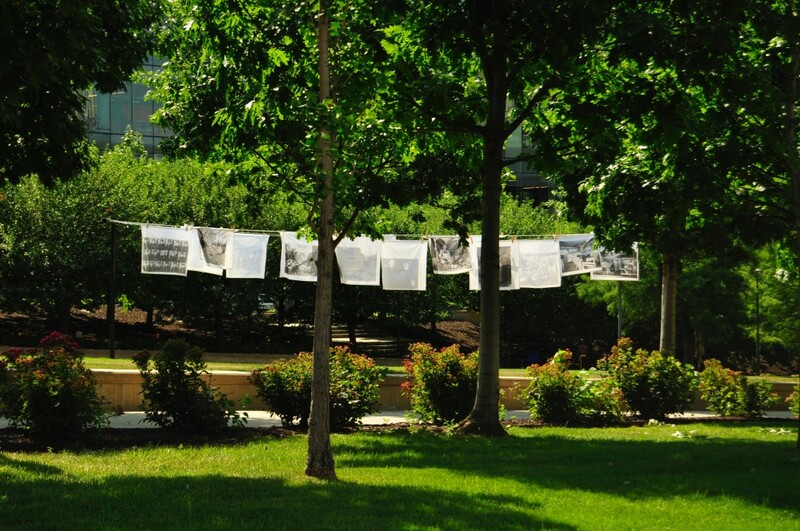 Laundry Day airs that history on the lawn of city hall. 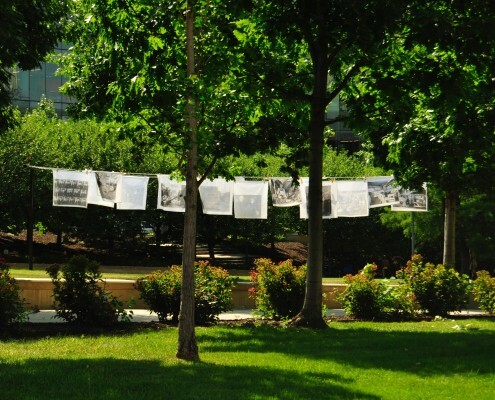 And just as the clothesline makes no distinction between the work clothes and the delicates, our history provides both what we wish to reveal and the tales that bring us embarrassment, yet all are on display. 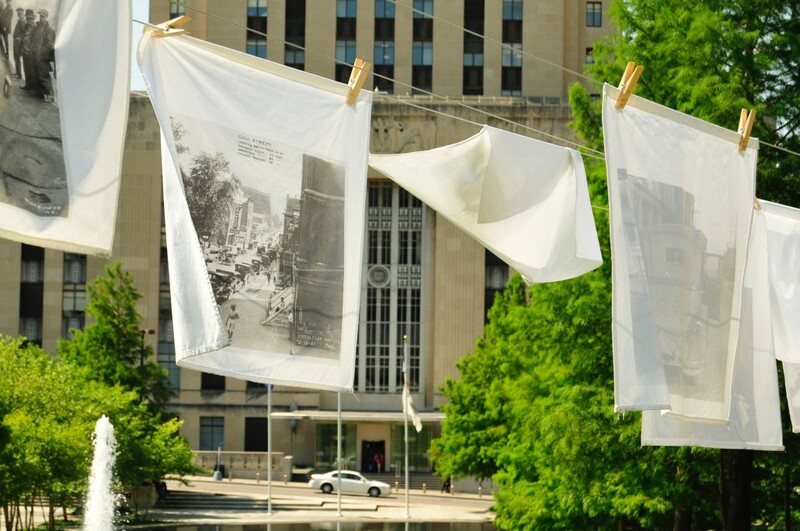 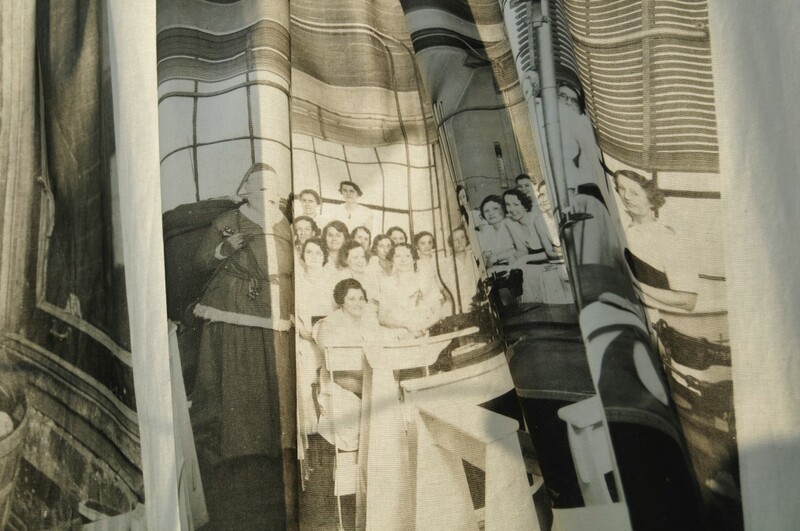 The photographs will acknowledge the importance of this civic history, and just as our own memories become faint with time, the fabric printed images are designed to fade over the four months of exposure to the elements. 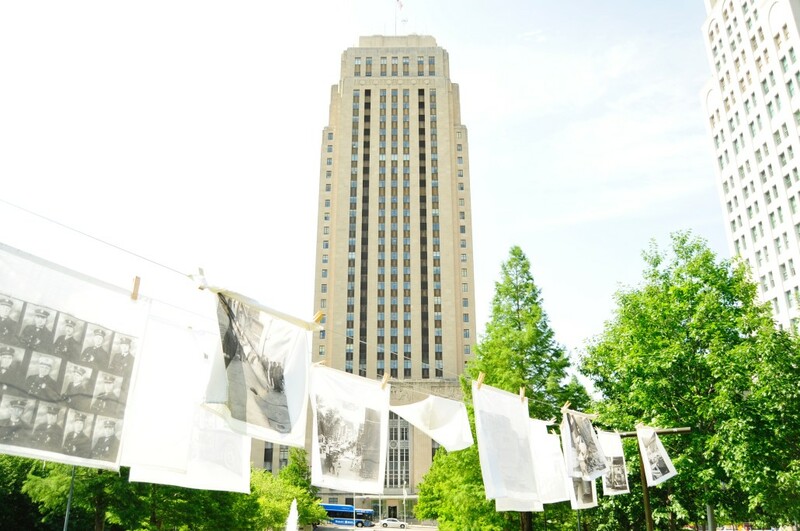 Additionally, the playful nature of a giant clothesline situated between the federal courthouse and city hall acts as a reminder of the humanity that lies within these institutions and the constituency they serve. 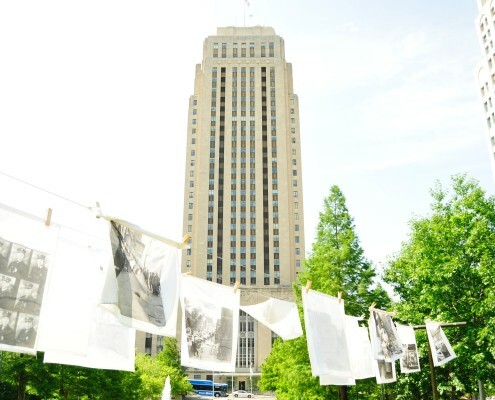 Kansas City based artist, Chris Dahlquist learned to use a camera and darkroom as she was learning to ride a bicycle and write in cursive. 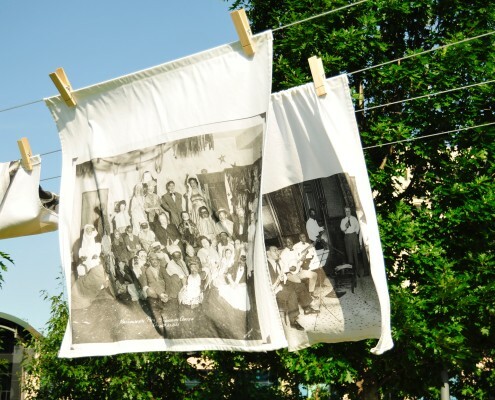 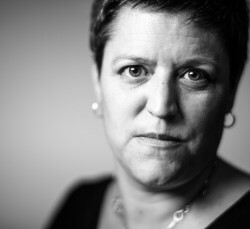 Originally from Fort Worth, she wrote her first artist statement on a Big Chief tablet in phonetic Texan, claiming for herself a life of travel and “tacking pitchers”. 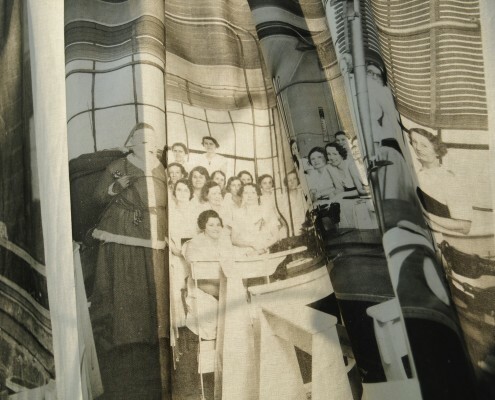 She has held a camera in her hands ever since.